Sediments of Lake Van, Turkey, preserve one of the most complete records of continental climate change in the Near East since the Middle Pleistocene. We used seismic reflection profiles to infer past changes in lake level and discuss potential causes related to changes in climate, volcanism, and regional tectonics since the formation of the lake ca. 600 ka ago. Lake Van’s water level ranged by as much as 600 m during the past ~600 ka. Five major lowstands occurred, at ~600, ~365–340, ~290–230, ~150–130 and ~30–14 ka. During Stage A, between about 600 and 230 ka, lake level changed dramatically, by hundreds of meters, but phases of low and high stands were separated by long time intervals. Changes in the lake level were more frequent during the past ~230 ka, but less dramatic, on the order of a few tens of meters. We identified period B1 as a time of stepwise transgressions between ~230 and 150 ka, followed by a short regression between ca. 150 and 130 ka. Lake level rose stepwise during period B2, until ~30 ka. During the past ~30 ka, a regression and a final transgression occurred, each lasting about 15 ka. The major lowstand periods in Lake Van occurred during glacial periods, suggesting climatic control on water level changes (i.e. greatly reduced precipitation led to lower lake levels). Although climate forcing was the dominant cause for dramatic water level changes in Lake Van, volcanic and tectonic forcing factors may have contributed as well. For instance, the number of distinct tephra layers, some several meters thick, increases dramatically in the uppermost ~100 m of the sediment record (i.e. the past ~230 ka), an interval that coincides largely with low-magnitude lake level fluctuations. Tectonic activity, highlighted by extensional and/or compressional faults across the basin margins, probably also affected the lake level of Lake Van in the past. We thank the PaleoVan team for support during collection and sharing of data. 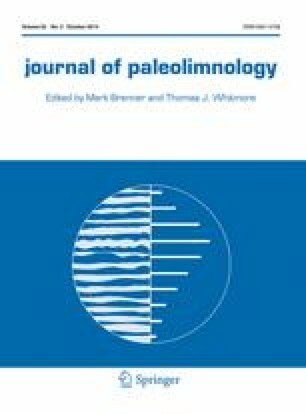 The authors acknowledge funding of the PaleoVan drilling campaign by the International Continental Scientific Drilling Program (ICDP), the Deutsche Forschungsgemeinschaft (DFG; Grants KR2222-9 and KR2222/15), the Swiss National Science Foundation (SNF Grants 200020_121853, 200021_124981, and 200020_143340), the Scientific and Technological Research Council of Turkey (Tübitak), and the EU Seventh Framework Programme for Research and Technological Delopment (Marie Curie International Outgoing Fellowship, Contract PIOF-GA-2012-332404). We thank editor Mark Brenner and two anonymous reviewers for their constructive comments. We also thank Prof. Sefer Örcen and Dr. Aysegül Feray Meydan from the Yüzüncü Yil University of Van, Turkey, for their cooperation and support and making the boat available during the seismic campaign. Special thanks go to our captains, Mete Orhan and Münip Kanan for their untiring commitment during the seismic data acquisition.